The number of mobile CEOs that have appeared on top rated reality shows must be pretty small. In fact, there's a good chance that Glu Mobile's Niccolo De Masi is the only one. 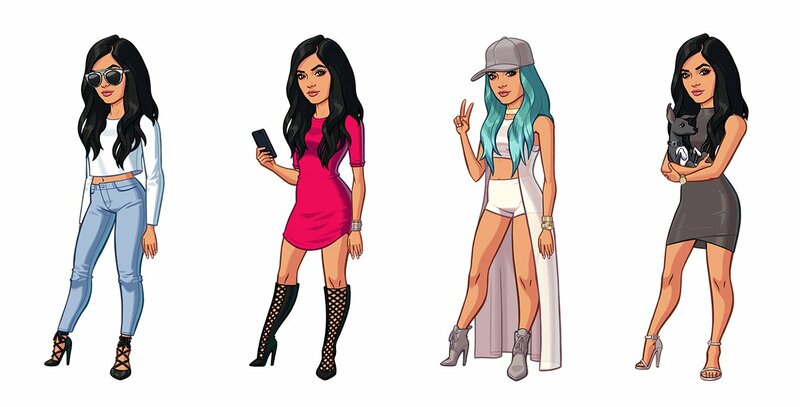 As the boss of the company that brought us Kim Kardashian: Hollywood his celebrity strategy has helped changed the face of the mobile gaming market. Meeting him for an interview I find that I'm the one facing the questions. Which celebrity should Glu target next? Which celebrities wouldn't work in the mobile game context? Do I like Selena Gomez? "We feel that Glu is a one-stop shop for the right talent to go direct," says De Masi. "We are an ideation, creation, development, publishing, sales and marketing organisation, and we've done all these deals with the person, not with an agency or with the studio - it's with them directly. "Record labels and publishers and movie studios are becoming less powerful in the value chain because they need the social promotion. Ironically enough, in a world where audiences are now spread across half-a-dozen social networks, not one, the unifier is people. Tencent is our largest shareholder - they own about 21.5 per cent of Glu now - and in China they own the biggest magazine site, video site, music site, social network. For their business people are not important because they own all the dominant sites. "Not all of our celebrity partnerships will lead to Kim level successes"
"In the US and Europe there's a lot of openness and fragmentation around how you discover stuff. I feel that people are the aggregators of audience." De Masi has spoken in the past about the way Glu uses this social media following for its celebrity games. Basically, if your follower count isn't at least 100 million you can go whistling dixie. "Kim understands her fanbase unbelievably well because she's grown it herself. This is the one of the things that I think is truly powerful: do you understand what resonates and what doesn't? She knows exactly what we should approve and put in her game. She's been 100 per cent right for the entire time we've worked with her, for well over two years. And that's really what the personalisation of media is about: do you understand your fanbase and how well do you understand the demographics within it? "And it actually ties in nicely with gaming because, in the free-to-play space, we do the same sort of analysis of our players. 95 per cent of people don't pay, so we spend a lot of time looking at where are they getting stuck? What are they spending money on? It's the same for someone who is trying to create their own entertainment audience." In a recent earnings call, De Masi told investors that mistakes had been made on the recent Katy Perry: Pop title, as well as with James Bond: World of Espionage, that saw both fail to make the same impact as Kim Kardashian: Hollywood. "Not all of our celebrity partnerships will lead to Kim level successes, but I think on average it'll be a strong, if not the strongest, part of our portfolio. We obviously make everything from racing games to shooters to baseball games, and we're trying to make the best in each one of these verticals. Ultimately, though, we're starting to use celebrity in more and more of these verticals. We've done a Jason Statham shooter, we're doing a Gordon Ramsay cooking game." De Masi believes that celebrities are far more powerful than "static brands," like Star Wars. You don't need the movie as long as you have its star. Other names that Glu has in its celebrity green room include Britney Spears, Nicki Minaj and Kim's social media savvy sisters Kylie and Kendall Jenner. "Mobile I think has 30,000 game developers and that's going to go down by 99 per cent"
"Showing you can monetise different demographics through gaming is a passion of ours, given that it connects to social following. As I always like to put it, how much is Twitter and Facebook and Snapchat paying these people? Nothing, actually. We are a path to monetise your social following." The company has just announced a Taylor Swift partnership, and it has more celebrities in the pipeline, both announced and unannounced. De Masi is confident this will help the company during a turbulent time for the mobile gaming industry. "I'm in my seventh year, and ultimately this is an industry that is going to go through - I think - affirmative consolidation in the next 18 to 24 months. In the console industry, there were 3000 developers that probably went to three or 30. Only three really, Activision, EA, Take-Two. Mobile I think has 30,000 game developers and that's going to go down by 99 per cent as well. I think that's going to do down to 300." And as for that infamous Kim Kardashian tweet? Don't believe everything you on Twitter, says De Masi with a weary smile. "We don't confirm or deny these things. Let me put it this way, if you look at our financial filings every quarter we pay about ten per cent of revenues in royalties across all of our partners. You can add up the sum total of our revenues for the last two years. I wish it were that high," he says. "I respect the ambition of where I hope this gets to in the next couple of years. Listen, those numbers are not fantastical over a five-year relationship. We might launch another product - you never know." In the console industry, there were 3000 developers that probably went to three or 30. Only three really, Activision, EA, Take-Two. Well everyone, there's only 3 console developers in the world now. What? Only three developers in the console industry- Activision, EA, Take-Two. Seriously?